Portfolio - Yu Chen Ph.D.
Metta is an Android application designed to apply positive psychology to enhance users’ emotional wellbeing by encouraging users to take daily photos. Users can take a photo of something that makes them happy, something that makes other people happy and send to that person, or their own smiling faces. ​Users can review their photos by clicking the button “Click to view photo history." Metta can collect users’ mood and sensor data on the Android phone. 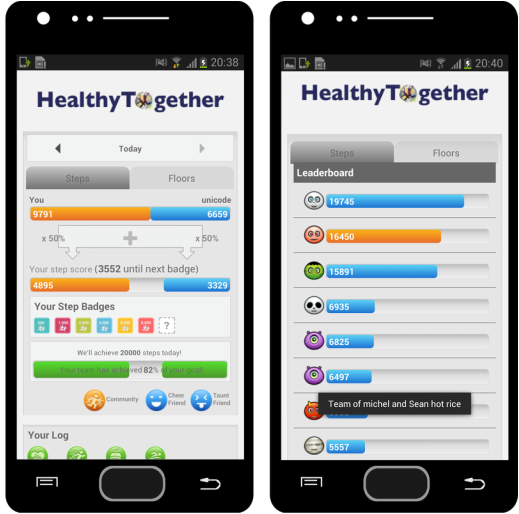 HealthyTogether is a social fitness game that allows users to exercise together as dyads. It retrieves users’ activity information from their Fitbit accounts. Social incentives in HealthyTogether include cooperation and social accountability to win badges, achieve team goals, and competition with other teams. These social incentives translate into three features of this game: team badges, collective goal setting, and a team leaderboard. An empatheticon is a set of pre-defined motion frames that visualize an emotion, which could be adapted to any given picture. Given that every member has a profile picture, we design empatheticons to present each group member’s emotions by applying motion features to the profile pictures. Empatheticons present the nine music-evoked emotions in Geneva Emotion Music Scale-9. 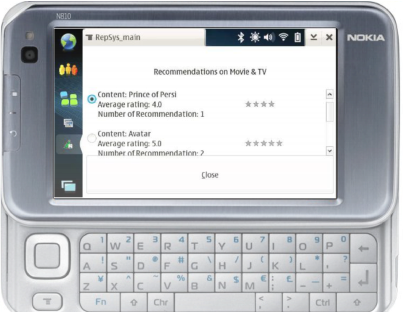 The empatheticons are implemented as a library on Android system, with a specified emotion and a picture as input, and a kinetic animation as output. By applying the empatheticons in a group music system, users can specify their emotions when listening to a group song. 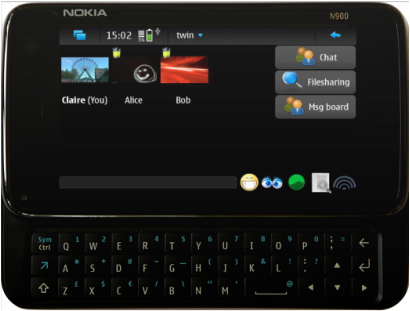 The emotions will display as an animated profile picture of the user, who annotates. These annotations are can last as long as the song itself. Users can change emotions, and thus a song can have different labels at different times. Group members can see the user’s emotions and vice versa in a distributed and asynchronous way. CoFeel is an emotion awareness tool that motivates users to provide emotional feedback in an engaging and explicit way. CoFeel design incorporates Russel’s complex as ‘body,’ Scherer’s Geneva Emotion Wheel as ‘skeleton,’ and Hatt’s color wheel as ‘clothes.’ CoFeel contains eight spikes; each presents an emotion with five scales and visualized as holes in a plate. Users can indicate their emotions by tilting the phone and placing a white ball on the hole representing the emotion on the plate. CoFeel is integrated into a group music recommender system to help group members input and visualize their emotions. GroupFun is a Facebook application that allows groups of users to share music events, such as a graduation party. The functions of GroupFun mainly entail group management, music uploads, music ratings, and group music recommendations. ​Users can log in to GroupFun with Facebook accounts, create and join a group, invite members, upload music, and listen to a common playlist. They can specify music preferences by rating the songs provided by GroupFun, and GroupFun can generate music playlists by aggregating group members’ ratings. AdChatRep is a mobile social application that allows nearby users to conduct group chat. It integrates a privacy-enhanced reputation system to increase perceived trust in online social interaction among strangers. AdContRep is a mobile social application that allows nearby users to recommend location-related content. It integrates a privacy-enhanced reputation system to increase perceived trust in online social interaction among strangers. Scenarios include recommending movies and local events.